“Biogossip” is my term for a biography/nonfiction or thinly veiled fiction (the “bio”) book that is juicy and scandalous (the “gossip”). You’ll see lots of Dominick Dunne (a former entertainment industry insider who began writing about his “friends” following a divorce and battle with alcohol) and books about the Kennedys (who is a better source for “biogossip” material than the Kennedys??). The great thing about “biogossip” books is you’re essentially reading entertaining tabloid material while also learning something – so you can feel a little less shallow while dipping your toes in the gossip pool! 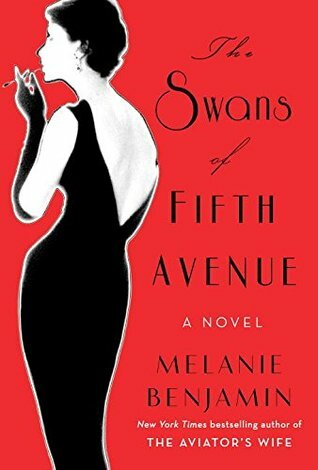 Plot Summary: A novel (wink, wink) based on the friendship between author Truman Capote and his New York City socialite “swans” (i.e. Babe Paley, Slim Keith, Marella Agnelli, Gloria Guinness, etc) and his eventual betrayal of them via the short story, “La Cote Basque, 1965”. Summary: A fictionalized account of the murder of Martha Moxley and the subsequent investigation, featuring Michael Skakel as a prime suspect. My Thoughts: I should have categorized this book as “technically fiction, but not really”, as it is closely based on the true story of the Martha Moxley murder and its publication is reported to have contributed to the case against Michael Skakel being reopened years later. Dunne excels at adding the “society gossip” element to high profile crime stories and he does a fantastic job here. His portrayal of the Bradleys (aka the Skakels, Kennedy relatives) as entitled, conniving, and plagued by family drama adds the juicy element to the crime and investigation story. Summary: Gus Bailey, a crime journalist, covers the O.J. Simpson trial and dominates the Los Angeles social scene in the process. My Thoughts: This is another “technically fiction, but not really” book from Dunne, as all the major players in the O.J. trial and local celebrities keep their real names. Gus Bailey’s character is also closely based on Dunne himself. This book covers the details of the investigation and trial, but Dunne’s portrayal of how the case dominated discussions on the social circuit for months is what makes it so juicy. Celebrities big and small had opinions on the case and all kinds of people whispered “information” (rumor and truth) in his ear during dinner parties. The fact that Dunne’s own daughter was murdered by a jealous boyfriend adds poignancy to his perspective. Summary: Yes – you read that right – a behind the scenes look at Bobby (not Jack!) and Jackie Kennedy’s long rumored affair. My Thoughts: This is a must read for any Kennedy follower. Other Kennedy books I’ve read have vaguely alluded to a “more than friends” relationship between Bobby and Jackie. But, this is the first one to make a direct case with supporting evidence that the rumors were true. Summary: A behind the scenes look at the 2008 Presidential Election campaigns – both primary and general, Republican and Democratic. My Thoughts: I decided to stay away from political books for this site, but this one is juicy no matter which way you lean. It’s more of a look at the political process and the gossipy side of the major players of both parties than a policy book. Basically, it skewers everyone pretty equally! The authors cover the Edwards/Hunter affair, the “dark side” of Elizabeth Edwards, the relationship between McCain and Palin (and her selection as V.P. ), and the roller coaster ride of Obama and Hillary. You don’t have to be a super political person to enjoy this book – just game for some good gossip. Summary: A look at twelve presidential marriages – spanning Woodrow and Edith Wilson through the second Bushes. My Thoughts: I actually learned a lot reading this book – while also getting some juicy personal details about the Presidents’ relationships with their wives. It was interesting to see which wives were actually consulted for advice/input by their husbands and which ones were truly in the background. I was amazed at the extent to which some of these wives influenced their husbands’ decision-making…Edith Wilson basically ran the country while Woodrow was ill.
Summary: The subtitle for this book is: “Behind the Scenes with Agents in the Line of Fire and the Presidents They Protect”, which is a good description. My Thoughts: This is a biogossip that allows you to feel like you learned something, while also being chock full of scandalous stories. I was fascinated by the details of Secret Service agents’ roles and the sacrifices they have to make for their jobs. The agents’ wives are saints! This book is also a revealing look into the personal lives of multiple Presidents – by the people who see the most. Kessler discusses who treated the Secret Service with dignity and respect, who was downright rude to them, and who acted like they were pieces of furniture. You also hear funny anecdotes about Presidential “quirks”, which makes the Presidents seem more human. Summary: A compilation of Dunne’s Vanity Fair articles about famous crimes and trials, including Claus von Bulow, Edmond Safra, O.J., and Martha Moxley/Michael Skakel. My Thoughts: The first article in this book is Dunne’s powerful account of the trial of his own daughter’s murderer (a jealous boyfriend), who got a shockingly light sentence. Opening the book with this perspective added a depth and legitimacy to all of the subsequent articles – I felt awful for Dunne and valued his opinions on the trials he subsequently covered. His coverage of the high profile cases is in his typical style – empathetic towards the victims and their families, laced with gossip and side anecdotes that bring the characters to life, and full of his own unique perspective. This one is a good Dominick Dunne starter. Summary: A compilation of Dunne’s Vanity Fair portraits of the famous and infamous. My Thoughts: This is a combination of two individual books – you can now buy them as one volume. This book focuses less on crime and trials and more on candid portraits of prominent figures from an insider perspective. Dunne covers Ferdinand and Imelda Marcos, Candy and Aaron Spelling, Elizabeth Taylor, Ivan Boesky, and Diane Keaton, among others. Dunne’s signature style is on display – juicy anecdotes, insider information, etc. Summary: The subtitle of this book summarizes it to a tee: “The True Story of Aristotle Onassis, Jackie O, and the Love Triangle That Brought Down the Kennedys”. My Thoughts: You want Kennedy gossip? Well, this book delivers it. I’ve read a lot about the Kennedys (because they are highly entertaining, obviously!) and the revelations in Nemesis were still new to me. Bobby Kennedy and Ari Onassis were longtime, bitter rivals and Jackie was somewhat of a pawn in their game. Ari is portrayed as a glorified, albeit very successful thug and, Evans presents an interesting case for his involvement in Bobby Kennedy’s assassination. This claim is somewhat outrageous and I wonder if it’s true, but it’s definitely something to think about and anchors the many scandalous revelations in this book. Summary: A behind the scenes look at the history of the Hamptons and the eccentric personalities that have flocked there. My Thoughts: This was one of the first books I read that made me think of the term “biogossip”. The great thing about it is that there is enough legitimate “history” included (early Hamptons settlement, founding of Gardiner’s Island, relationships with the Indians) to make you feel bit less shallow. However, there is obviously a huge dose of straight-up gossip as well – making Philistines read like fiction. Gaines covers Ron Perelman and “The Creeks”, Jackson Pollok, and Jerry Della Femina, just to name a few. He writes about the invasion of the “new money” (aka the “philistines”) with sarcastic humor, keeping the book from feeling too wrapped up in itself. Even though Philistines was published almost 15 years ago, many of the personalities are well-known enough that they are still relevant and interesting to read about today. Summary: New York Post columnist Byron’s look at the 1990’s bull market phenomenon of celebrity CEO’s. My Thoughts: Though this book is a bit dated, I read it long after the 1990’s period it covers and still felt it was hilarious, mind-blowing, and relevant. The names / personalities (GE’s Jack Welch, Revlon’s Ron Perelman, and Tyco’s Dennis Kozlowski) it includes are so well-known and eccentric that they will be interesting for a long time. Summary: The story of the “big four” Texas oil families (the Roy Cullens, the H. L. Hunts, the Clint Murchisons, and the Sid Richardsons). My Thoughts: The first 50 pages of this one is a bit dry, as it goes into detail about the Texas oil industry. But, once you get past that it’s juicy gossip about wealthy and eccentric families. H.L. Hunt had three families…how’s that for scandalous?! Also, I loved learning about the intersection of Texas oil and politics as the oil tycoons relished trying to influence the national political stage…sometimes with hilarious antics. Summary: A portrait of the social fabric of Georgetown, which naturally overlaps with politics and whoever is in the White House, from the Kennedy through the George W. Bush administrations. My Thoughts: Heymann tells his story by focusing on a few powerful Georgetown women (Evangeline Bruce, Lorraine Cooper, Katharine Graham, Pamela Harriman, and Sally Quinn). They host parties with Presidential administration power players and foreign dignitaries conducting serious political discussions. These women have more power within the White House than you think they would and certainly manipulate to use that power to their advantages. This is a look at Washington politics from a completely different lens. Summary: A compilation of articles and profiles of various celebrities that give up everything to be (or stay) famous, from Michael Jackson and Tina Turner to Gianni Versace’s murderer and Margaret Thatcher. My Thoughts: This book got a fair number of negative reviews on Amazon – one titled “a ridiculous, gossipy book”. I agree with the reviewer’s title, but not the way he/she meant it. What’s so bad about a “ridiculous, gossipy book” every now and then?! Take this book for what it is – a skewering of Orth’s famous (and often ridiculous) subjects. A great choice if you’re looking for something light and juicy. Summary: A tell-all about John Edwards, written by his longtime right hand man and the guy who initially claimed paternity for Rielle Hunter’s baby. My Thoughts: This is the last political book you’ll see on this site. And it’s only here because it’s not really political…it’s more a tell-all about a famous person who presented one image to the world, but was something else entirely behind closed doors (kind of like Tiger Woods!). I was fascinated by the snippets about the Edwards/Rielle Hunter affair and baby story in Game Change and this book goes much deeper. I wondered why Andrew Young (who had his own family) would ever publicly claim paternity for a child that wasn’t his – this book does a good job portraying how Edwards had this guy convinced that falsely claiming paternity was “for the good of the country”. I also wondered how someone who was so closely followed by the media could pull off a stunt like this. The Politician is a great portrait of the dark side of a political campaign and the experience of the “staffers” who support a candidate. Summary: A behind the scenes look at the Manhattan’s real estate market and bold faced names that are central to it. My Thoughts: This is the Manhattan version of Gaines’ Philistines at the Hedgerow (about the Hamptons). It was written much more recently (2006), so feels less dated than Philistines. Gaines focuses a lot of the book on the co-op boards in Manhattan – because it’s such a ridiculous system for deciding who can live in certain buildings and a great source for gossip. Like in Philistines, Gaines includes enough legit history of New York neighborhoods to make you feel less shallow, but not so much that it overshadows the good juice! Summary: A fictionalized account of the 1950’s murder of New York socialite Billy Woodward by his wife, Ann, a former showgirl. My Thoughts: Like A Season in Purgatory, this is another of Dunne’s “technically fiction, but not really” books about a high society crime. From what I’ve read, this book is slightly less historically accurate than Purgatory. TTMG excels at portraying the world of New York high society and the tempestuous relationship between Alice Grenville (aka Elsie Woodward) and her daughter-in-law, Ann (aka Ann Woodward, Billy’s wife). Since these events happened so long ago, I recommend reading a bit about the real story before reading this book (“The Woodwards: Tragedy in High Society” is a good article) – so you can try to match Dunne’s characters and gossip about them with the real people! This is just the type of creative list that I have to RELY on this blog for! Im not sure I would have ever checked out books in this category, but with your comments they all seem extremely intriguing. I may have just found my new favorite genre! Now, I just have to decide which one to start with. I LOVE your recommendations! You are my go-to when I need a new book and don’t have one lined up. Any new biogossip suggestions? Thank you so much! All my good Biogossip is on this list! If you haven’t read The Swans of Fifth Avenue or The Royal We – those are great! Thank you! I own “Swans” but never read it, and just requested the other from my library!